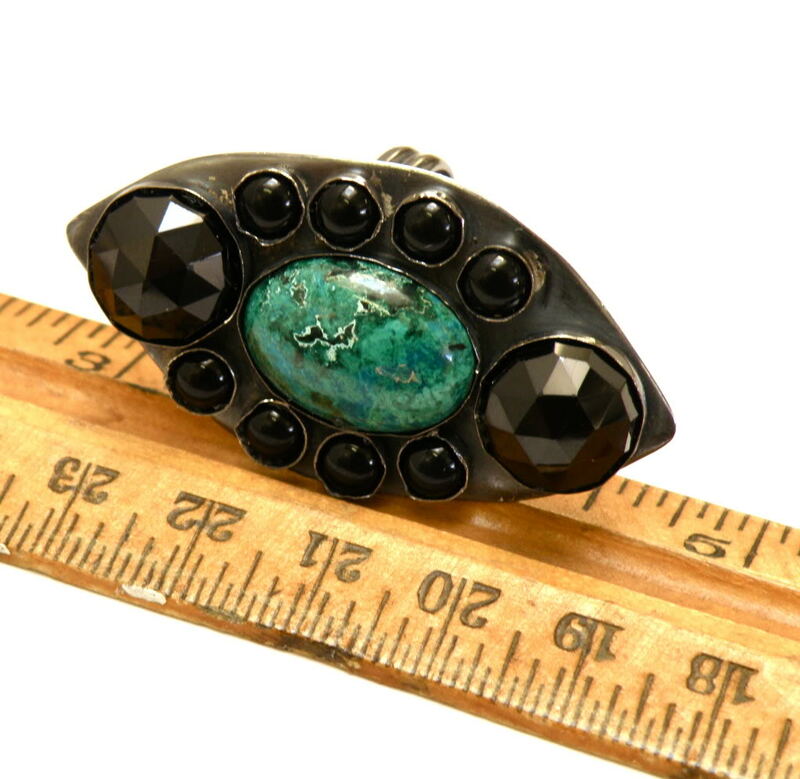 Unapologetically bold, this show stopper of a ring features a large blue/green chrysocolla surrounded by faceted melanite garnet and small round onyx gems. The faceted melanite garnet glitters like the shiniest black mirror. 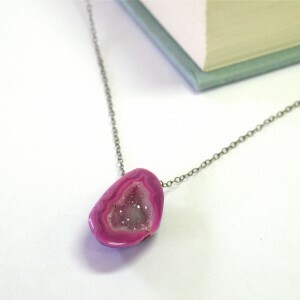 Historically, bright chrysocolla was associated with the idea of strong self expression, and with artists and musicians. Perfect for a rockstar! 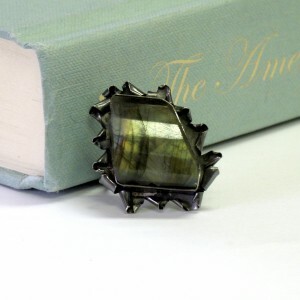 The ring has been hand crafted in solid sterling silver, and oxidized (darkened) to its deep gray patina. With a ring band that’s both adjustable and comfortable, the ring can fit sizes 0-13, while still feeling like a solid ring all the way around. 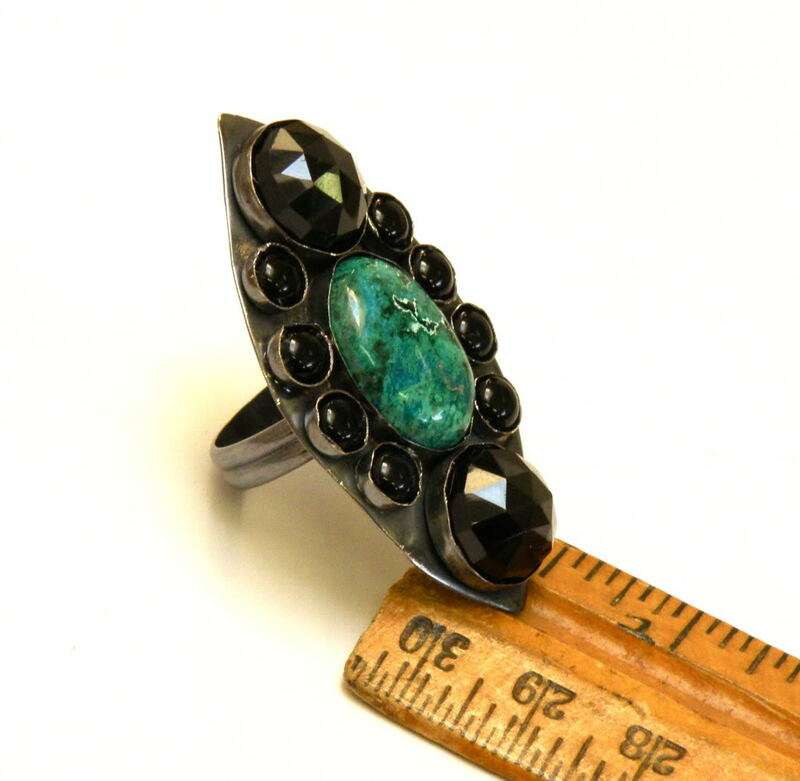 Be the rockstar of your world with this one of a kind artisan ring. Category: Rings. Tags: adjustable, artisan, black, blue, chrysocolla, garnet, gemstone, green, handmade jewelry, melanite, one of a kind, rock, rocker, turquoise. 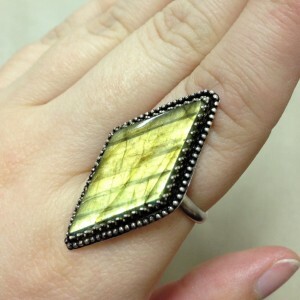 Bella Ring – Size 6.75 – READY TO SHIP for Christmas!